Above snapshots of doors from Rome, Florence and Puglia. If you love taking pictures of doors as much as I do, you will enjoy the work of photographer Andre Vicente Goncalves — stunning collages of doors (and windows!) from around the world. 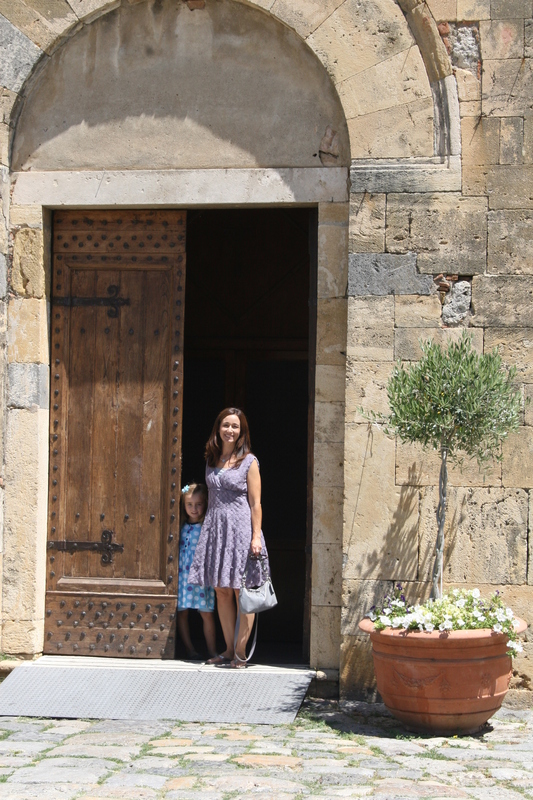 And here’s a dual-language post featuring more beautiful doors of Italy by my Italian teacher. Buon divertimento – have fun! I invite you to sign my guestbook, and be sure to like my Facebook page, where I share often about Italy! This post first ran on Prayers and Piazzas. Tags: doors of Italy, Italian Proverbs, Italian proverbs about doors, Italy, Travel. Bookmark the permalink. Previous post ← Marching Away From Me featured at Mamalode today! I like the Italian version of that proverb better than the “When God closes a door he opens a window” version. Perhaps it is the idea of the world behind the decorated door that keeps us so fascinated? I agree with you, the Italian version seems to have more possibility and promise. Thanks for being here with me! I love the proverb, it is now written in my journal. I seem to have lots of Italian door pictures too!